How pretty and colorful these are for the bride to be or her wedding party. Today I featured them on forsaleonetsy, which is the official instagram feed of great things Ive found , all from sellers on Etsy. 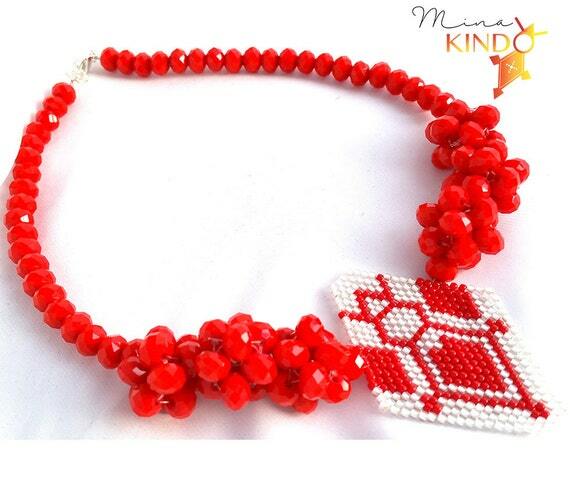 Ravishing red beaded jewelry, handmade with love from Etsy shop Mina Kindo incorporates intricate beaded designs with African styling! Such lovely jewelry with so much work! 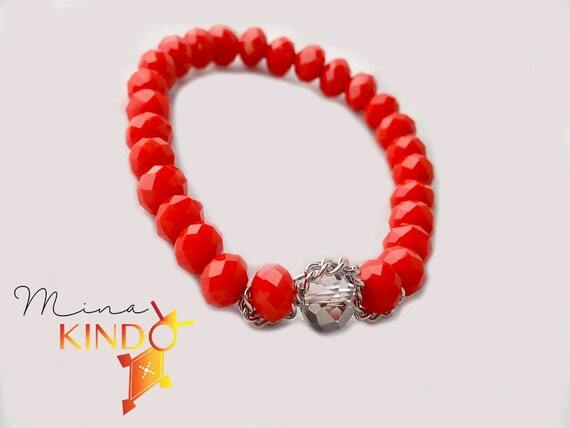 Handcrafted by Aminata Amadou Kindo who is the Owner, Designer And Creator Of MinaKindo Jewelry from Carlisle, Pennsylvania. Her mother showed her how to use a needle, and most of her designs start with a sketch and come to reality! 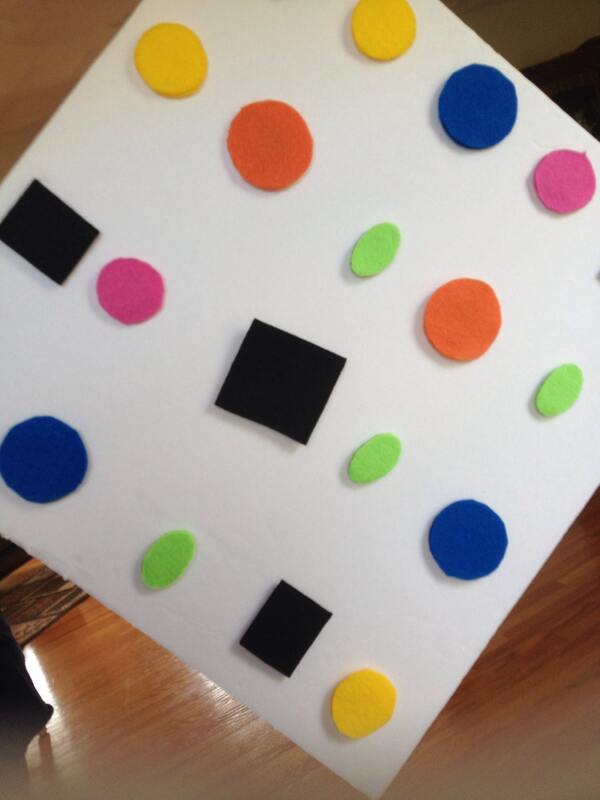 By mixing colors, culture and shapes original designs such as the one above emerge! Prices are inexpensive for this type of work, a simplistic bracelet made with Crystal beads faceted rondelle would be perfect for the lady on your gift list, for best friend, birthday, Mother’s Day or special holiday, for less than $10 you can’t go wrong. 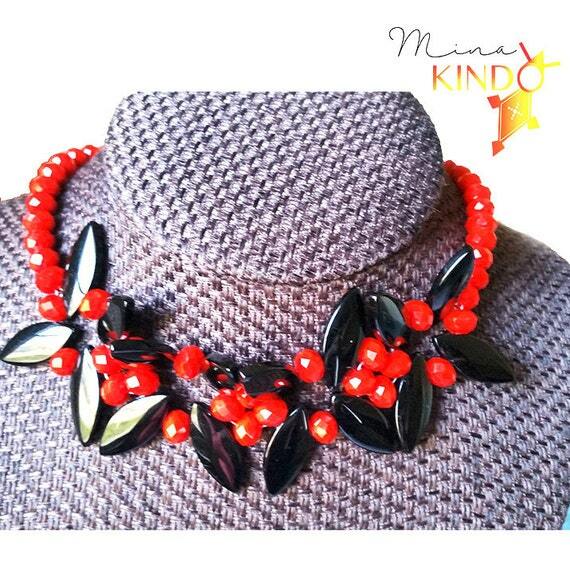 Find out more at : Mina Kindo on Etsy. Who doesn’t need cute cat papers for collage work, scrapbooking, journaling or simply just writing a letter? 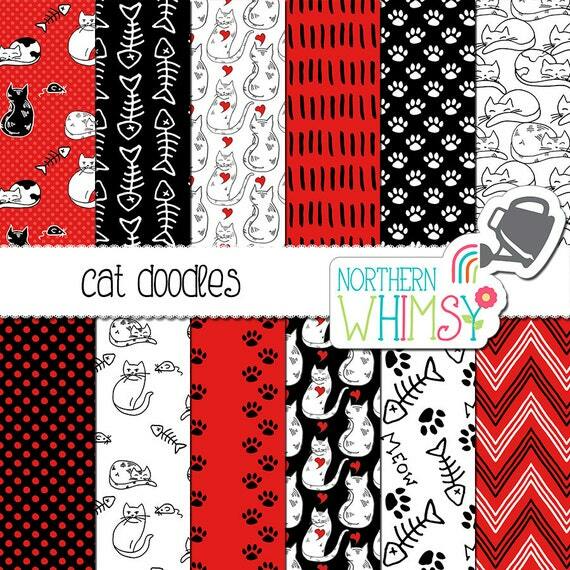 Northern Whimsy Design offers these adorable cat doodle papers in vibrant colors of reds, black and whites that come in downloadable 12×12 sheets in high resolution. These would be great for wrapping up small presents for the feline lover you know! 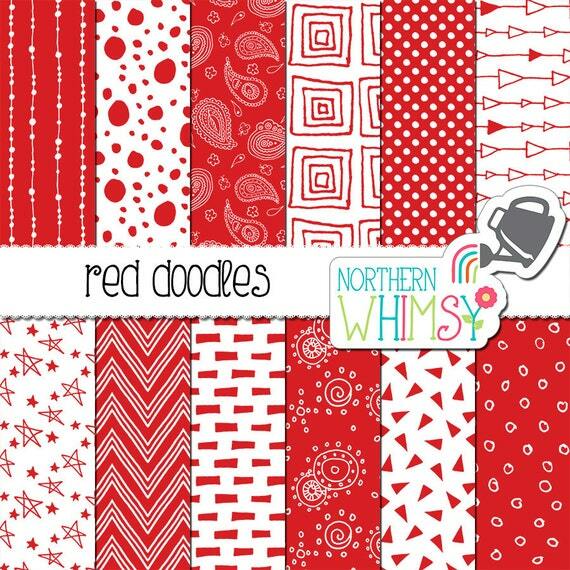 They have great other papers in Red like these above with paisley and chevrons. Once you purchase you get an easy download link. You can print as many as you need! They are hand drawn by shop owners Trevor and Jess, a husband-wife team living in Saskatchewan, Canada on a farm with their goats and alpacas! They started out by launching a custom fabric design business. After that, they branched out from there into other digital design, including digital papers and printable party supplies. 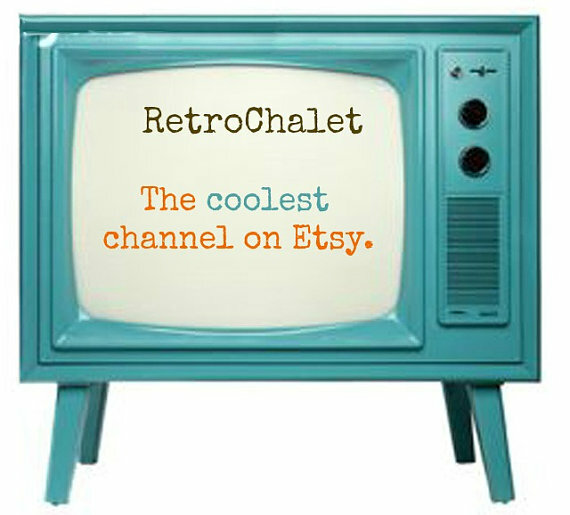 Find more of their hand drawn items here. This adorable little Hedgehog Plant watering device is made of ceramic and fashioned by Madeline of EmyLiaStone on Etsy. 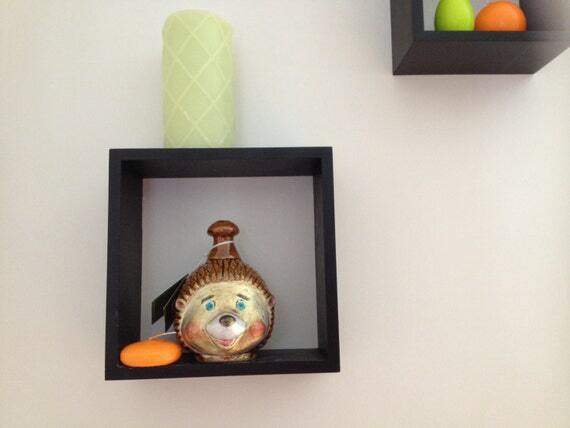 She loves to paint and this little guy would look great in your home. Only $15.99 makes it a real steal on Etsy.